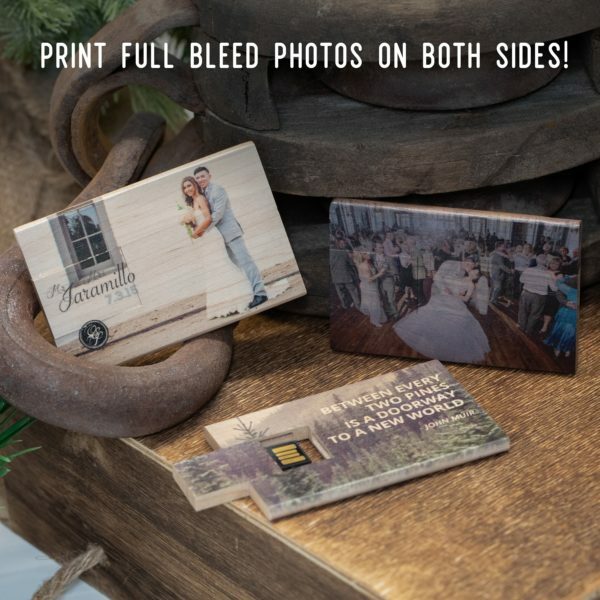 Impress your clients even more by delivering their images on our Wood Credit Card USB flash drive. 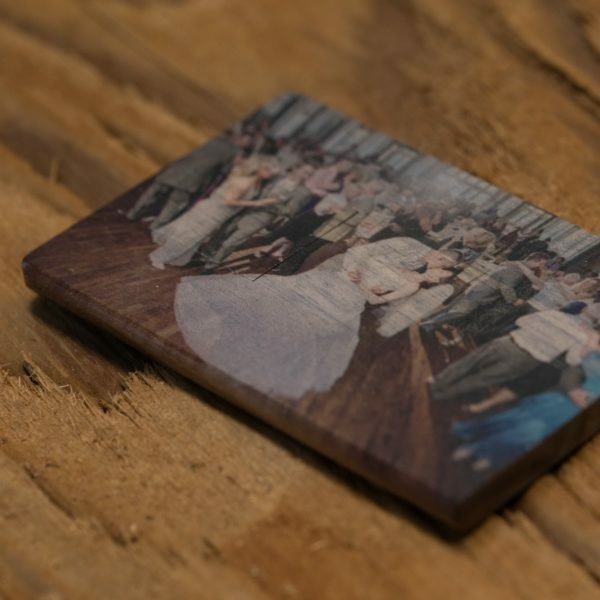 Print a hero image directly ON the wood to really stop them in their tracks. 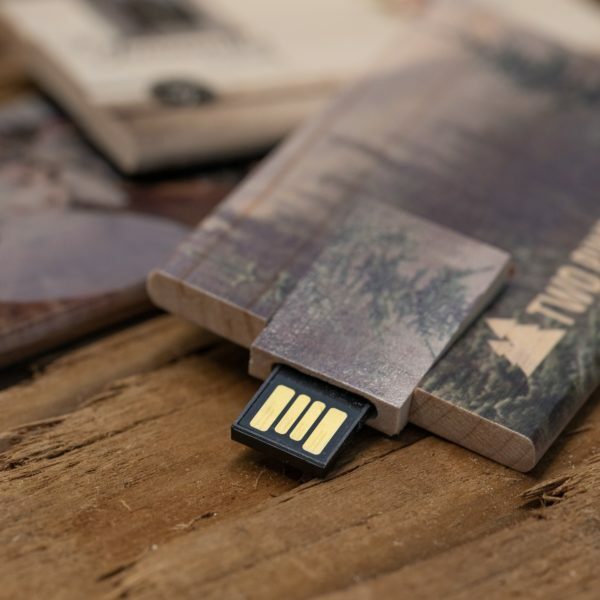 It might only be the size of a credit card, but the impact your clients will get from this Wood Credit Card USB flash drive will be huge! 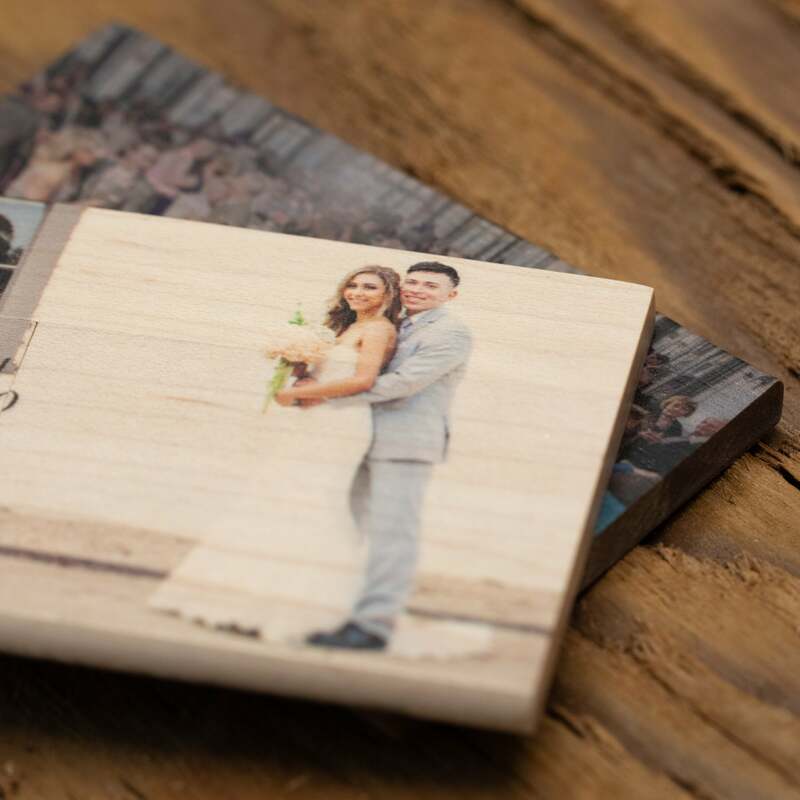 As soon as it’s revealed, and they see an image of themselves printed directly ON the wood, oohh’s and aahh’s will fill the room as they hold it close to examine every detail. 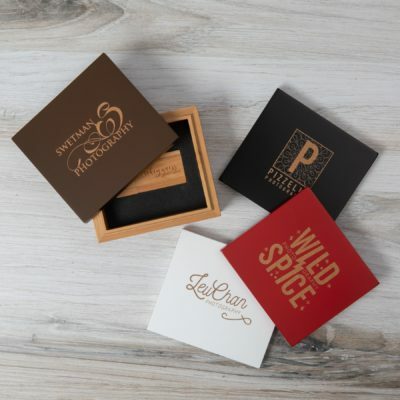 Unlike other companies that offer drives similar to these, we offer two-sided, engraving or edge-to-edge printing allowing you to get that “wow” factor from one side, and include a personal message or your studio’s branding on the other. 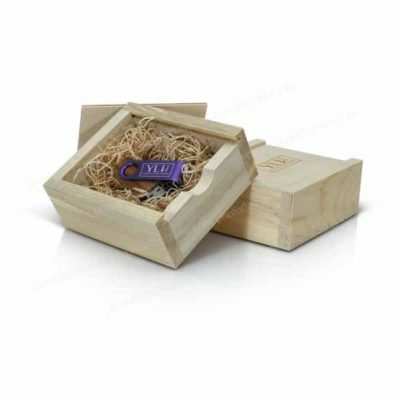 These drives are constructed from maple or walnut, have smooth rounded edges, and offer a trap-door style opening mechanism. Want to get really creative? Use our downloadable template to strategically position your image to correspond with the opening portion of the USB for added effect! As we do not require a minimum order on this product, these drives can be ordered one-by-one. So if the amount of data you are delivering necessitates more than one drive, then you get two opportunities to impress your clients!